I never thought I’d put a garlic plant in my pond, but I did. 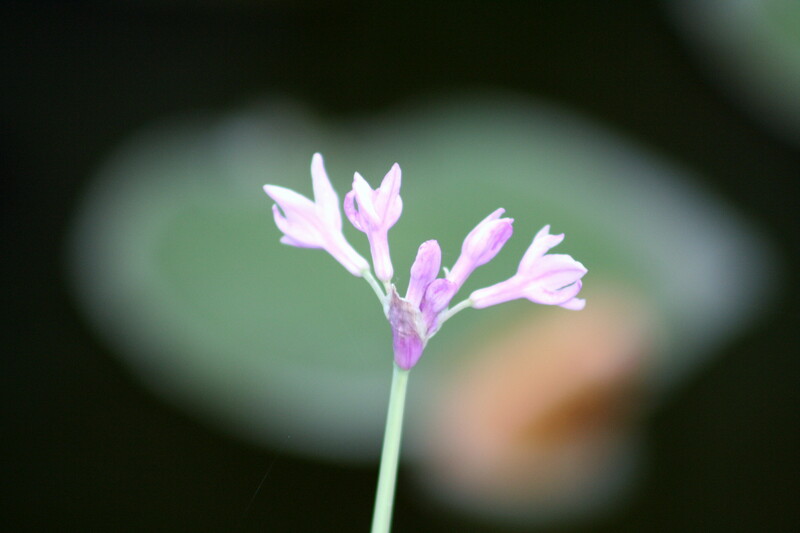 It’s called “society garlic variegated (Tulbaghia violacea ‘variegata’)” and the flower is a delicate thing. I loved the way the lilypad in the background made for an interesting effect here.